Originally published in 1999 after a decade of research and extensive interviews with some of Toyota's top executives, this book examines organizational purpose: what it is, how it is crafted, how does it relate to strategy and objectives and how does it relate to decisions and actions that ultimately produce organizational results. 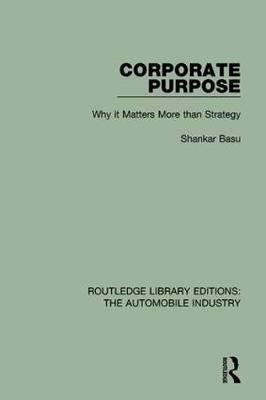 The author explains why Toyoto Motor Corporation was selected to study corporate purpose and examines the various factors that influence purpose. An overview is given of Toyota in the 1990s and its operating environment, particularly outlining the importance of the Japanes motor industry to Japanese society. Operational objectives of Toyota are analyzed and research findings, data and analysis related to Toyota's purpose are presented and the implications described. In the appendix, the detail of the research methodology of this study is included.